As 2012 takes off with a bang, we took time out to measure our success in 2011, where we grew the South African business by 23%: strong evidence that local businesses continue to embrace paperless communications. 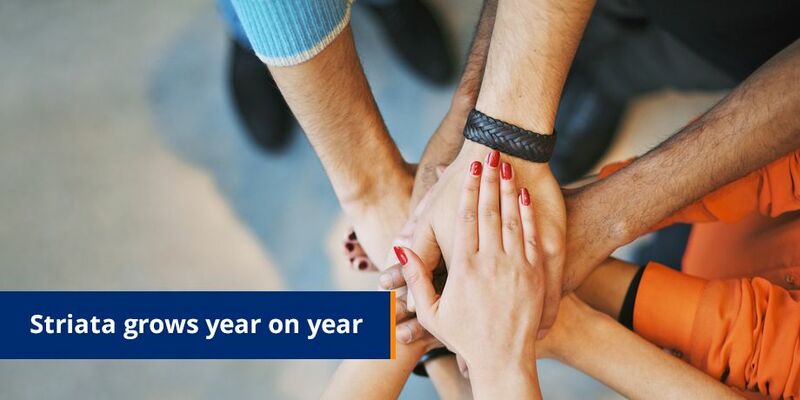 However, the beginning of the year is not just for taking stock of our past commercial successes – we also revisit our social investment, which is a key component of our company culture. Striata supports a variety of charities in South Africa, including many that focus on the well being of children. This includes Noah, Childline, Starfish, Refilwe, Freed Thinkers, Valued Citizens and Thursday Club. We extend our eMarketing expertise to help these valuable organisations market to donors and media partners, by providing them with free digital communication services, including creative, campaign and distribution work. Our support of charities is through direct financial or business assistance, as well as by rallying the support of our staff, who participate enthusiastically in various annual charitable events organised by Striata. Earlier in 2011 our staff marched off to Uitkoms Children’s Home, tool boxes in hand. Their mission: to help improve the home’s living conditions. These activities ranged from painting rooms, fixing the intercom system and electric fencing, to donating general house supplies. Every year Striata staff collect and donate bags of dog food for the Sandton SPCA and during the winter months we collect and donate warm clothes and blankets to the homeless. To demonstrate our compassion for those battling with cancer, and in memory of our loved ones who have battled this indiscriminate disease, we host our own Shavathon day every year. The aim is to create awareness, as well as raise funds in support of CANSA. Last year, we had 21 participants in Movember under our ‘The Moustachoes team’. Not only did our guys grow some of the most impressive Mo’s, they also raised a total of R6,736 in sponsorship of this worthy cause. Finally, Striata recognizes that unemployment is one of the biggest challenges that South Africa is facing. Through active involvement with small and upcoming black owned enterprises, Striata aims to contribute towards their economic growth and a sustainable income by enhancing innovation and thus competitiveness. We support these enterprises by providing free subject matter expert advice, website innovation and development, database development, as well as hosting and distributing automated communications. Striata would like to take this opportunity to encourage you to make 2012 a year that includes the pleasure of giving to those that could use your help.